Blondes have more fun, according to Rod Stewart. However,when they exit a swimming pool, blondes have more trouble too: green hair! I’m sure you’ve heard it before – swimming pools can turn blonde hair green. Most people are under the false impression that chlorine is to blame. The truth is, chlorine is not the main enemy, but it’s a sidekick. Copper is a metal that is found in some swimming pools, particularly ones that are filled using well water. Copper can also enter the pool water from certain copper-based algaecides If you click this link and make a purchase, we earn a commission at no additional cost to you. . The copper in the water is oxidized by chlorine, which then binds to the proteins in the hair strands. The metal will produce a green tint in the hair. Simple chemistry. 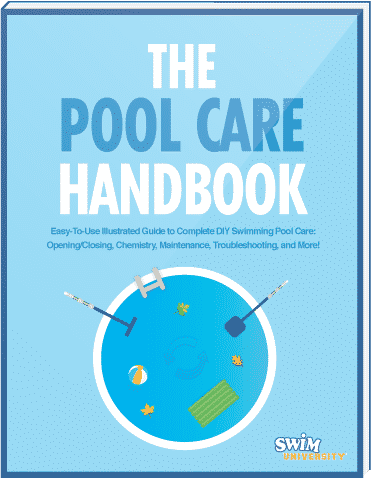 Saltwater pools are chlorine-based pools. 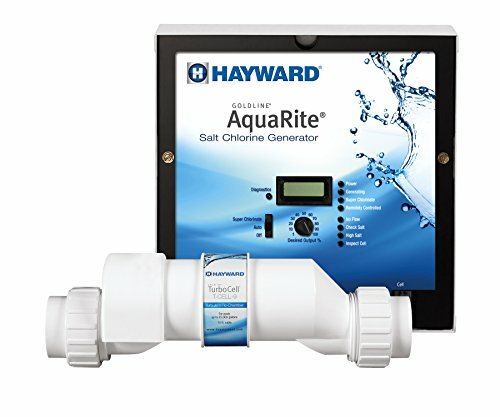 However, instead of adding chlorine manually with tablets or powder, salt is added to the water, which runs through an electrically charged generator If you click this link and make a purchase, we earn a commission at no additional cost to you. , turning the salt into chlorine. If you’re the pool owner, you can start by getting your pool checked for metals, especially copper. You can use test strips If you click this link and make a purchase, we earn a commission at no additional cost to you. 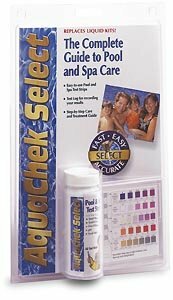 at home or take a sample of your water to your local pool store to have it professionally checked. 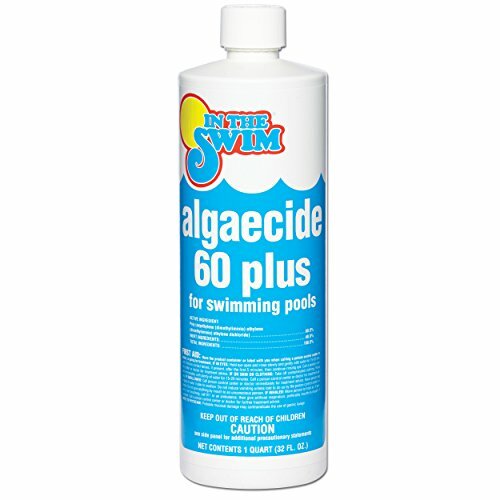 Look for polyquat algaecides to use in your pool as a weekly algae preventative, such as Algaecide 60 If you click this link and make a purchase, we earn a commission at no additional cost to you. . Or don’t use algaecide at all and just keep your chlorine level in check. 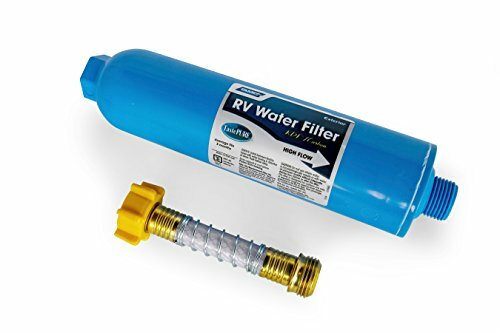 If you have metals in your water, be sure to use a hose filter If you click this link and make a purchase, we earn a commission at no additional cost to you. while filling your pool. You can protect your hair by using a leave-in conditioner If you click this link and make a purchase, we earn a commission at no additional cost to you. before swimming. Also, wash and rinse your hair as soon as you get out of the pool. You can also use a gloss coat If you click this link and make a purchase, we earn a commission at no additional cost to you. that seals the hair cuticle. This will prevent the copper from attaching to the hair strands and turning it green. At home, you can use a hot oil treatment If you click this link and make a purchase, we earn a commission at no additional cost to you. that you can pick up at a local drugstore or beauty supply shop. These simple techniques will protect your hair from the metal in the water. 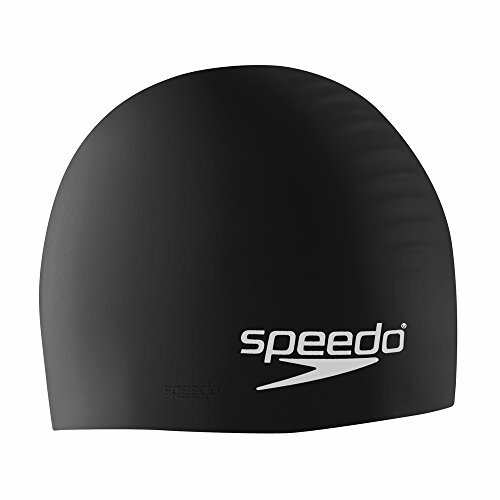 If those don’t work, or you don’t have the means to do them, you can always wear a swim cap If you click this link and make a purchase, we earn a commission at no additional cost to you. .
We’ve outlined two different remedies you can use to get rid of the green hair you got from swimming in a pool. If you’re hair is already green from the swimming pool, you can use a shampoo that chelates the metal. Chelate: A chemical compound in the form of a heterocyclic ring, containing a metal ion attached by coordinate bonds to at least two nonmetal ions. 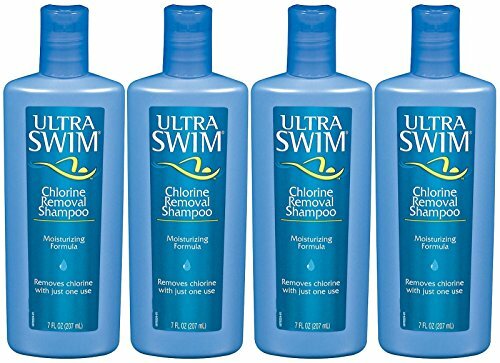 UltraSwim Chlorine-Removal Shampoo If you click this link and make a purchase, we earn a commission at no additional cost to you. TRISWIM Chlorine Removal Shampoo If you click this link and make a purchase, we earn a commission at no additional cost to you. Paul Mitchell Shampoo Three If you click this link and make a purchase, we earn a commission at no additional cost to you. 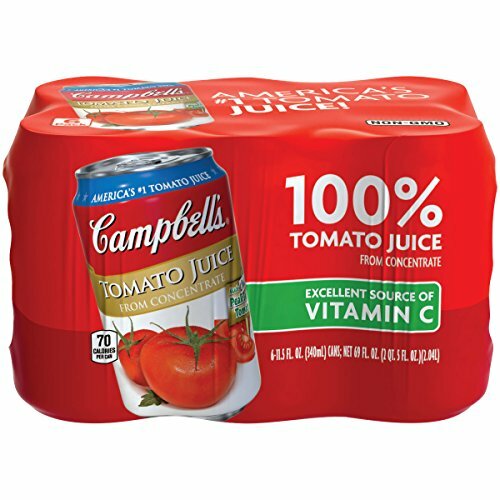 Using a liberal amount of tomato juice If you click this link and make a purchase, we earn a commission at no additional cost to you. in your hair and on your scalp for 5-10 minutes works wonders. You can then wash it with shampoo and use regular conditioner.